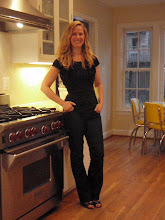 This recipe comes from my best friend Sarah. We started having weekly dinners a few years ago--one week at her house, the next week at mine. We always had our dinners on weeknights 4-6pm. She has three kids just like me and our kids love each other sooo much. Sarah and I feel the same way. Our time together is always filled with lots of laughing and lots of eating. Now our kids are a bit older and lots of after-school activities are putting a damper on our weekly meals. These days we shoot for once a month. 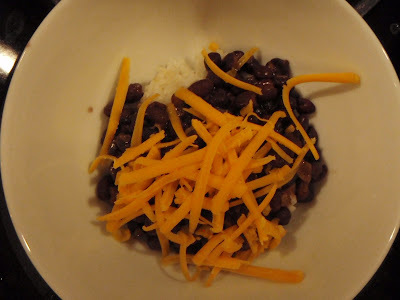 This recipe is another addictive one! Try it and you'll see! 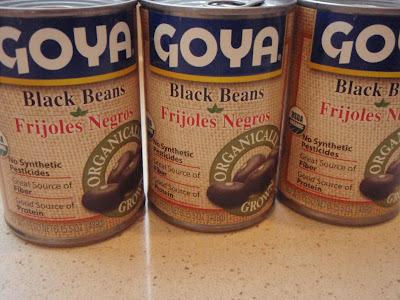 Drain (or partially drain) but do not rinse black beans. 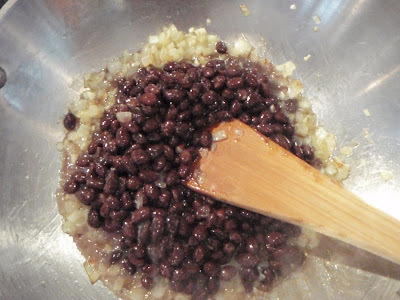 Saute’ onions and garlic in olive oil until soft, add black beans and about 1 cup water. 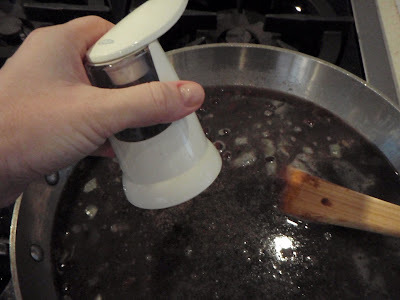 Bring to a simmer over medium heat. Add pepper to taste and stir. 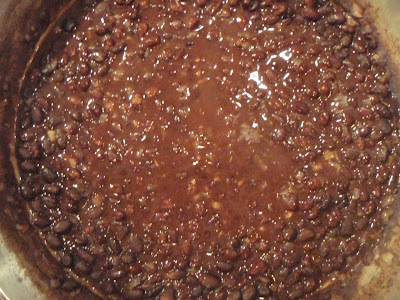 Turn to low and simmer, uncovered for 45 minutes, stirring occasionally. 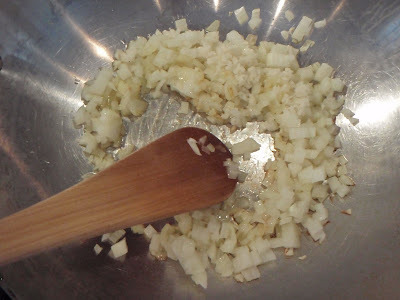 Add a few Tablespoons of seasoned rice vinegar and stir in. 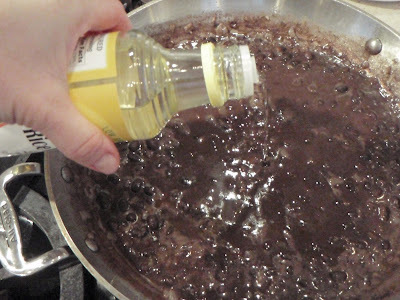 This mixture may be left on simmer for several hours. 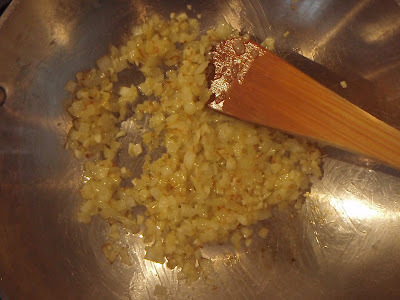 Cook desired amount of sushi or jasmine rice in rice cooker or on the stove- -when finished add a few teaspoons of seasoned rice vinegar and stir it in. 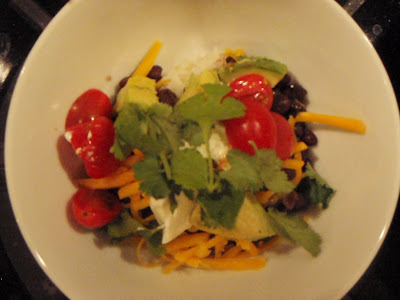 To serve put rice in serving bowl, black beans on top then add chopped avocado, tomatoes, shredded monteray jack and/or sharp cheddar, sour cream, cilantro and scallion. Yummy and so simple! This was a great solution on a night when we all seem to eat solo ... Ryan at soccer, I'm at bookgroup, Jeff working late and Ethan home sick and happy for something warm and comforting! Merci! You are so very welcome, Bridget! Thanks so much for taking time to comment!